Resolving the Arab - Jewish conflict: Facebook Or Facelessbook? Articles by David Singer and archival records retrieved by him calling for and supporting the division of the West Bank and Gaza between Israel, Jordan and Egypt as the key to resolving the 130 years old conflict between Jews and Arabs over the territory once called Palestine. 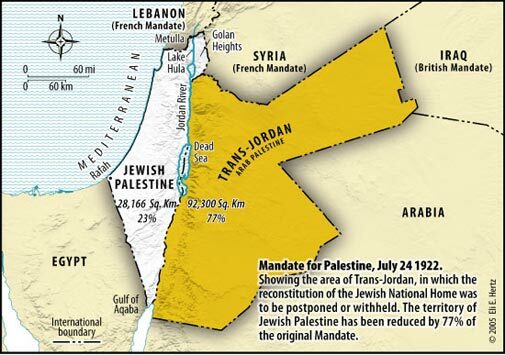 Jordan is 77% of former Palestine - Israel, the West Bank (Judea and Samaria) and Gaza comprise 23%. Can anyone out there tell me how I can have direct on-line contact with a real live person at Facebook - not just some anonymous message that is flashed on my screen? I need your help urgently to find such a person in an effort to discuss and resolve issues which have arisen between myself and Facebook. The Group’s objective was to engender support for UNESCO approaching the International Court of Justice to obtain judicial confirmation on the legality of UNESCO’s decision to admit Palestine as its 195th member state. I had started the Group after UNESCO had refused to even discuss the merits of a legal opinion I had furnished. If UNESCO’s decision was found by the Court to be in breach of UNESCO‘S Constitution - this would result in America resuming payment of its financial dues to UNESCO - totalling about $260 million until 2013 - thereby avoiding UNESCO cutting its aid to scores of millions of people world-wide in programs such as literacy, gender equality and water purification. I received some complaints directly on the Group page from people asking that their names be removed as members and questioning how they had become members. To the best of my knowledge these complaints were from people who had already agreed to become my Friends on my own face book page. I had then joined them as members of the Group - as was permissible and appeared to be encouraged by Facebook. On receiving these complaints those objectors were advised of the procedure to enable them to remove their names as members of the Group. In addition I had been sending out Friend Requests to people who were members of other Groups - of which I was also a member and a frequent on-line contributor. Many of these people became my Friends and I joined them to the Group page as well - without any objection from them. Apparently my actions incurred the wrath of Facebook following complaints received by it. I began to receive a number of automatic messages from Facebook stating that I was sending Friend Requests to people I did not know - affording me the opportunity to respond. I explained what I had done. An automatic response in acknowledgement was the only reply received in each case. Believing my explanation had been accepted I continued to approach members in those other Groups of which they and I were members - asking them to become my Friends. I then received an automatic message telling me that I had sent out Friend Requests to people I did not know - and that I would not be able to send out Friend Requests for seven days. I was also advised in the message that if I thought I was seeing the message by mistake - to let Facebook know. A response in explanation was duly sent by me setting out what I had been doing. Again - believing my argument had been accepted I resumed my approaches and - lo and behold - I received another automatic message advising me that I could not make Friend Requests for 14 days!! Worse was still to come. When I tried to send a message to someone about the difficulty I was having in accessing a web site - I received another automatic message stating that my messages had been blocked temporarily to prevent sending spam. I was directed to the automated Help Center - which I suspected would only lead to another automated response. My capacity to send messages to anyone on Facebook - unrelated to my Group page - had now been arbitrarily blocked for an indefinite period - without affording me any opportunity to respond before such action was taken. Oh and if you think that was the end - more was yet to come. Facebook actually notified me by “no-reply emails” that some people had requested to join my Group - people to whom I had not sent a Friend Request. When I endeavoured to sign them up - their names had disappeared off the radar. They remain unable to become members. Undeterred - I did send off a complaint to the “no reply” e mail address and of course - as you might guess - I have received no reply. Just to round off this confrontation - I now find I have been removed as a member of one of the Groups and the name of that Group has been removed from my Facebook page. This has been done without any notification to me. When I tried to message the Administrator of the Group to find out what had happened - I was notified by another flashing message that I had been blocked because multiple people to whom I had sent Friend Requests indicated they did not know me. I can understand that this very powerful social media site can do as it likes in the way it manages its affairs. But what they are doing seems to me to be a denial of natural justice - of the right to be given a fair hearing and a reasoned judgment after hearing all the facts. I only hope that being the nerd I am - I have somehow missed a contact address of a real person at Facebook with whom I can correspond to try and sort out these issues. If this is not possible - then my Group page has become effectively impacted in recruiting new members and my capacity to message anyone on Facebook has been frozen for I do not know how long. Has anyone else had similar problems making personal contact with a human being at Facebook when they have issues that need to be resolved through face-to-face contact? Discouraging communication and arbitrary decision making seems to be the complete opposite of what Facebook is all about - or should be about. This is hardly a way to win Friends and influence people. So my plea is - can anyone out there put a face to Facebook to help me resolve my run-in? Once again - a good article, David. Organizing Items into a feasible structure is the key that opens. Palestine - Where To From Here? Palestine Is A State - Fact Or Fiction? An Australian Lawyer, Foundation Member of the International Analyst Network and Convenor of Jordan is Palestine International — an organization founded in 1979 calling for sovereignty of the West Bank and Gaza to be allocated between Israel and Jordan (and possibly Egypt)as the two successor States to the Mandate for Palestine. His articles have been published extensively on the internet on such sites as Jerusalem Post,Barack Obama Official Website, USA Today,Diplomat World, American Daily, American Thinker, Wall Street Journal, MichNews, Canada Free Press, New Media Journal, Christian Action for Israel,Sky News,Israel National News,Moslem World,Palestine Note, Israelinsider,Global Politician, FrontPage, News By Us, Think Israel, Israel Hasbara Committee, and the Conservative Voice and distributed widely through Arab,Israeli and International News Services. He has been voted most popular author on the Bloggersbase Middle East Web Site.